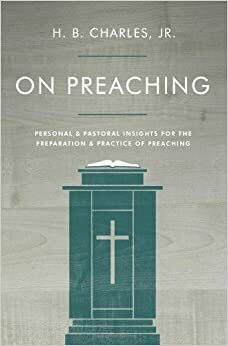 BOOK REVIEW: “On Preaching” by H.B. Charles, Jr.
As an opening disclaimer and to be quite honest, I have been friends with H.B. Charles, Jr. for the past 15 years or so. H.B. (please forgive my informality) was the speaker for the San Diego City-Wide Revival for many years at the church I pastored for the Noon-Day session. We have managed to keep in touch down through the years and I have watched him ascend the crystal stairs of the preaching fraternity from Los Angeles to Jacksonville. Now, having said all of that . . . I believe that every preacher, ESPECIALLY YOUNG PREACHERS, should have this book in your library or on your tablet or on your smart phone. H.B. has penned what many of us who have been around could say are “cliff notes” for those who desire to not just preach, but preach effectively. If you have no desire to excel as a preacher – this is not the book for you. If you want to grab onto the newest fad in preacherdom – this is not the book for you. If your desire is to “kill ’em” every Sunday with a whoop and no substance – this is not the book for you. If you want people to call you “Doc” to your face and laugh at you behind your back – this is not the book for you. This is a collection of practical, easy to read advice on how to construct a sermon – not the whoop, not the holler – but from the mindset of preaching, utilizing personal theological foundations, to the “why” and “what” a minister should pray before one syllable touches a piece of paper or on a computer screen. H.B.’s passion for preaching is redundant throughout the book. He’s been preaching since he was a young teenager and he describes this not as a instructional map but as words from one traveler of the art of preaching to another. It is quite clear that H.B. does not want to remain the same in your preaching if it’s below par and he doesn’t want you satisfied if your preaching is above par. It’s classic and practical preaching advice. It’s what the old preachers used to call a “nugget.” Unfortunately we live in a time when we have mega churches but pastors who either refuse or protest in sharing what they’ve learned along the way, especially about the craft of preaching. H.B. Charles, Jr.’s book breaks that paradigm in a refreshing way. One thing you will learn from this book – the entire Bible is preachable. H.B. encourages you not to get in a rut and offers practical advice for vocal care. Much needed today. Will this book help you? Yes, if you want it to. I’ll add this caveat – don’t let your ministry have more gators on your shelf than books in your library. Leaders read. Period. An investment is this book is well worth it. Many of us across the country are either implementing or planning to teach this book to our young associates. Pastors – consider doing so. However, all ministers need to get your hands on this book – if you are serious about the craft of preaching.Those who want to drown in shallow preaching waters need not apply. Is Gospel Music headed to the same fate as Gospel Preaching ? DISCLAIMER: I need to begin this post by saying that I am speaking from a position as a not only a Pastor, but a musician/choir director/minister of music since I was 17 years old. I was raised in a gospel music environment provided by New Hope and Morning Star Missionary Baptist Churches in Portland, Oregon and sat at the feet of gifted people – Bill Jackson, Marci Jackson, Glenda Jackson, Naomi Houston (mom), Carolyn Allmon, Saul Kelley, Sr., Lorene Wilder, Dorothy Davis, Gilber Gill, Darlene Warren, Norman Wooding, Calvin Lowery, Michael Stone, and many others from our church and community. Further, I have maintained my gospel music training at every church I have served at – going from apprentice musician to a senior musician. As I sit here, I believe that Gospel Music is in trouble. I’m not talking about the plethora of workshops and organizations – I mean the art and craft of gospel music. It’s becoming like some preaching – watered down, fad-like and off center. Recently, someone sent me a video (and it’s one among many) of where a minister took the secular song, “Blurred Lines” and replaced the words with the Christian standard “Jesus is on the mainline.” Several in the audience were “whooping it up” and it was hard to distinguish, in my eye, between worship and twerking by some of the participants. Gospel music is deadly serious to me. We have a generation of musicians and songwriters (mostly male) and in some cases, some of these same musicians and songwriters attend nor support anybody’s church. Groups are forming every day that have no problem leaving the sanctuary of their home church to “perform” somewhere else, especially if it’s a paid performance. a. The powerful story of Jesus Christ. b. The powerful witness of God the Father. c. The powerful abilities of the Holy Spirit. However, much of gospel music is written by one-hit wonders, who mix songs in the basement using drum tracks, and creating words that neither glorify God or invite others to praise our God or, fore mostly, are biblically correct. I don’t mean any harm . . . I don’t need a little more Jesus – I have the complete package at my conversion. I’m not looking to go back to Eden – that state will never be realized again. Pharrell Williams’ song, “Happy” is “turning up” in praise and worship settings across the country – but if you can’t tell me simply that Jesus is the one who makes me happy within the confines of lyrics, then, to me, it’s not appropriate for a worship setting. Worship is not about us, it’s all about Him. Although it gets a lot of verbal abuse, for those of us who have attended the New Music Seminar and Mass Choir conferences at Gospel Music Workshop of America, we appreciate the “standard” that has been used to select music that is to be presented. A song may appear and after hearing it, it’s never heard again – because those delegates want to take home music that edifies, encourages, and reaches the soul. I’ve had the pleasure to work with and be in the number of choristers with people like Virgie Carrington Dewitty, Bishop Kenneth C. Ulmer, V. Michael McKay, Donnie McClurkin, Margaret Douroux, Dr. Patrick Bradley, Dello Thedford, Walter Scrutchings, Damian D. Price, Oscar Williams, Malcolm Williams, William Barks-Dale, Terry Davis, Rodney Teal, ESQ, Rodena Preston-Williams, Steven Roberts, Helen Stephens, Shirley M.K. Berkeley, Eddie A. Robinson, Dr. Erral Wayne Evans, Bishop Richard “Mr. Clean” White, Teresa Aton, Kevin B. James, Carrie Lasley, Oscar Dismuke, Varanise Booker, Lan Wilson, Gregory Troy, Christopher Watkins, Anita Stevens-Watkins, Wendell Craig Woods, Professor Craig Hayes, Ronald J. Materre, and a plethora of others who write, re-arrange or present good, solid church music. Unfortunately, most of the stuff you hear on Christian radio will never be heard in a church because it’s fury no sound, beats without a rhythm, and a song without lyrics. I love most forms of Christian music. I love the hymns of the church – and my church is right now going through 70 hymns in 70 Sundays because I don’t want my congregation to lose that link to our heritage. I love traditional gospel music, quartet music (my father and my father in the ministry were both quartet singers), anthems, shake-note singing, powerful traditional songs, and some (not all) contemporary music. My eyes will still swell up if a musician gets on the organ and with just one or two fingers start to line out “The Old Rugged Cross.” And yet, I can “Shabach” with you and I can “take you to church” with one of James Cleveland’s catalogue songs. I pray that just like we say “Keep Christ in Christmas” that we won’t have to modify that mantra one day and say “Keep Christ in Gospel Music.” However, I’m afraid that time is fast approaching. NOTE: The Pastoral Search Committee will not be responsible for travel and lodging expenses incurred by a candidate. Resumes must be postmarked by Monday, September 15, 2014. St. John’s Congregational Church in Springfield, MA is seeking a full-time Associate Pastor of Family Ministries. St. John’s, a predominantly African-American congregation, has been pointing souls to a better religious, social and economic life since it was founded in 1844. It is located in an urban, multi-ethnic community and enjoys growing ethnic and cultural diversity in its membership. Currently, St. John’s has over 1,500 individuals on its membership rolls and a weekly attendance of between 650-700. There are approximately 30 ministries that provide service, support, fellowship and outreach to the congregation and beyond. St. John’s is on the cutting edge of ministry in New England. 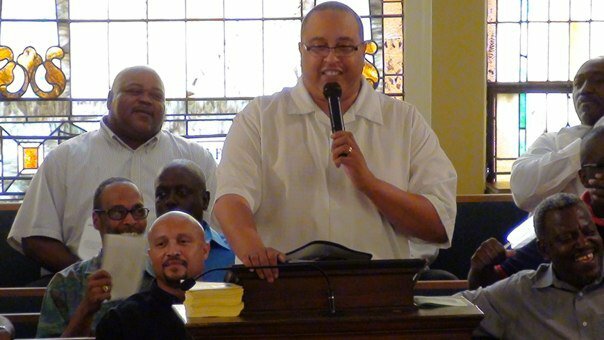 The Associate Pastor of Family Ministries shares in the basic functions of pastoral ministry with special emphasis in areas related to ministries directly related to the Family. The Associate Pastor will plan, organize and implement, along with ministry coordinators, a wide range of activities for those under their care. He/she will be responsible for recruiting and training adult and youth volunteers. Participates in the leadership of worship in the congregation on a regularly scheduled basis. On an ongoing basis, plans for, organizes, and implements a youth activities program for school-aged youth and young adults. Plans, organizes, and implements special youth worship services, retreats, camps, trips, etc. Develops youth leadership to assist in ongoing and special youth programs. Recruits, orients and trains adult volunteers to assist in youth activities and special events. Advocates youth issues to the congregation with the objective of making the youth more visible to and involved with the congregation. Plans and promotes worship education and leadership skill development for ministries. Maintains regular contact with youth and young adults as may be required. Available on a limited basis for crisis intervention and counseling. Serves as a resource for those involved in ministries for the development of their own faith journey and to assist in coping with challenges of daily life. Works cooperatively with the church staff to coordinate activities with those of the whole church and to help achieve the church’s mission and goals. Performs other duties as may be requested or required from time to time by the Senior Pastor. Has a high standard in attitude, outlook, and morals, with an awareness of the importance of example. The successful candidate will have, at a minimum, a Bachelor’s degree. A theological degree (Master of Divinity, Master of Arts, Master of Theology) is preferred. To apply, please submit a cover letter, resume, 3 references (2 ministry and 1 personal), and a DVD or video clip demonstrating your preaching and teaching abilities. Deadline: Applications are due Friday, July 25, 2014. Tabernacle Baptist Church of Oklahoma City, Oklahoma is currently seeking a full-time pastor. We are a loving, historical church and we are affiliated with the East Zion Consolidated District, the Oklahoma State Missionary Baptist Convention, and the National Baptist Convention, USA, Inc. The church is seeking a spirit-filled leader with sterling qualifications. A seminary-trained leader with a minimum of five years of experience as a pastor is p…referred. 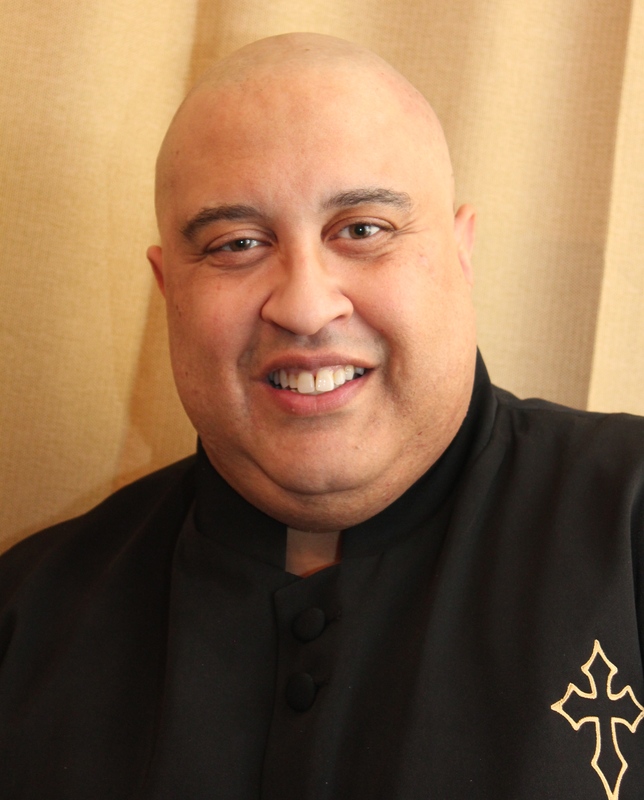 Tabernacle seeks a gifted teacher and an effective communicator. The applicant must be able to provide pastoral care to our multi-generational congregation. This leader must have a divine calling and fully embrace the Baptist Doctrine. Click the link below to download an application package. If you are unable to download this application, you may request a copy by calling the church office at 405-424-7767; between the hours of 10:00am – 2:00pm, Tuesday – Friday. Applications and resumes will be accepted July 1 through July 31, 2014. The committee will acknowledge receipt of all applications and resumes. I have never understood why some churches are adversarial with their pastors. To me, it’s akin to boarding an aircraft looking at the pilot and saying “I hope you crash” while you make you way to 28D and not understanding that if the pilot crashes, you crash. Something happened at worship today that I want to pass along in the hope that it may encourage some pastor some where. The Lord had led him forward to ask the congregation to pray for Pastor Houston. He said that our pastor is busy, he preaches out his heart each week, he visits the sick, counsels with families about funerals, has multiple meetings and today, the Lord told him that the congregation needs to pray for him, and each other. It was spontaneous, caught me off guard, and following prayers for the other concerns, then much church prayed for me. One of the Golden Girls of our church led the prayer by my request (and how she prayed). I sat there for a few moments in awe of what God had done that morning. I think it goes without saying that many of us who serve congregations experience the congregation serving the server. My goal is to serve the Lord continually and my church thought enough of the ministry that I provide to them, and as he said, not only here, the community, the state and the nation. It was touching because I’ve had some experiences that were not always that pleasant in the past areas that I’ve served (and all of us in ministry have that), but I would hope that the people of God that I serve would appreciate the service of their pastor – outside of a calendared anniversary. This reminds me of an old adage: If you want a better pastor – pray for the one you have. If you want a more loving pastor – pray for the one you have. If you want a better preaching pastor – pray for the one you have. If you want a more blessed pastor – pray for the one you have. Prayer sure beats argumentative, hostile and woundings from an out-of-control business meeting. Thank God, we don’t have those – because we are believers first and foremost. The EKBPC Living Legend – Dr. Melvin Von Wade, Sr. I think it needs to be said that Dr. Melvin Von Wade, Sr. is DESERVING of the honor bestowed upon him at the “Living Legend Luncheon” and be inducted into the hall of great preachers in the E.K. Bailey Preaching Conference and Pastor Bryan Carter. Last night, I walked through the exhibit of the Living Legends and I’m grateful that I have heard personally most of them. I’ve known Dr. Wade since the 1970s when the late Dr. E.C. Wilder would bring him to preach for the St. Mark Baptist Church in Portland, Oregon. I had never heard nor seen preaching like that and after I had been called to preach – I studied him (among several great preachers) because I marveled at how his handled a manuscript. His support of several younger pastors including myself and my brother, Dr. Bryant C. Wyatt, Sr. and preachers all over the nation, pushed us into leadership positions in the State and in the National. Because of his labor, the four National Baptist Conventions met together twice . . . with his strong influence and input. He’s been like the college professor that you both respect and revere. I will never forget, and he doesn’t do often (at least with me – smile), after I had gone through my season of storms, he very calmly and quietly said, “Houston . . . you never quit.” That meant much to me. For generations of preachers, Dr. Wade has been the Rolls Royce of manuscript, expository preaching. For those of us who would have fallen into the trap of not challenging the congregation with our vocabulary, Dr. Wade taught us how to go behind words and get their meaning and sharpen our vocabulary when preaching. To use his words, “I learned a new word.” He taught me the way – he is an avid reader of all material, including Reader’s Digest. I think one of the things that any young preacher could learn from him is to read, read, and read some more. Alliterations don’t come without the benefit of feeding your mind and spirit. He, along with his brother in the faith, Dr. E.K. Bailey, did not do what previous generations did when illness struck. Instead of being silent, Dr. Wade shared with his church, community, and the nation his illness, the procedures, and he walked Mount Moriah Missionary Baptist Church, where he has pastored almost 40 years, through his season, and it became their season. In the process, it created a stronger bond between Pastor and Church, which is a testament to his transparency in illness. Dr. Wade is a man of prayer. I remember that before he came to the Presidency of the National Missionary Baptist Convention of America (and he appointed me as his special assistant and webmaster), he was the first one to say to a convention, we’ll rise up early in the morning and seek the face of God. On the national level, he appointed Dr. G. Thomas Turner of Columbus and the room would be standing room only. He made prayer not just a platform but a new paradigm for national conventions – most of whom now have early morning prayer sessions. He got his spiritual training from his father, the late Dr. J.C. Wade, Sr. and his mother, “Momma Wade.” She is a woman of prayer. I never forget that during the NMBCA, I was also the photographer for the convention and at one of the first sessions of prayer, she called me on the carpet for walking during prayer. When I told her I had approval from Dr. Wade to take photos, she looked at me and said “all right . . . just don’t walk too much reverend.” What a joy it must have been for her, in her mid-90s be present to see her son receive this honor. She has seen him go from baby to child to college graduate to Texas pastor to California pastor, national icon, District Vice Moderator, State Vice President, National President, Delegate to the World Baptist Alliance, and now, inducted into the EKB Preaching Conference Living Legends. When I found out I had cancer, I put in a call to Dr. Wade. I was scared. I was nervous. And just like I knew he would be – he was cool, calm, collected and after we talked about the procedure, etc., he said, “Houston, let’s pray.” When he prayed he didn’t just pray for healing, but he prayed that this would provide a testimony that only the Lord could give. He’ll never know how comforting his prayer, among many, was to me and my family. He went to Mount Moriah about the same time that my father in the ministry, Dr. A. Bernard Devers, I, went to New Hope Missionary Baptist Church in Portland. They were part of the young guns in the National Baptist Convention of America and Dr. Wade was a fixture at late night and evangelical board services. When I had resigned my church in San Diego during a very painful divorce, I thought for sure that I would be removed from my post in the National, State, and District works. Dr. Wade didn’t ask me to quit or resign. It was basically, “do your job” and I did. As a result, when I moved to Nashville, I left the west coast as his National Special Assistant, the State Corresponding Secretary, and 3rd Vice Moderator of the Progressive District. His family – his wife, his children, his grandchildren, his siblings, his parents have been through some much down through the years but his faith has never depleted. In his sermon at Concord during the conference, he related the story of challenges of health, church, and how at each point that would have broken him, that the Lord restored him. His connections are vast. He is known in the preaching world (and I’ve met some of the nation’s best preachers through Dr. Wade), political world, and in the gospel music world. He’s a fixture at the Gospel Music Workshop of America and Board Member and knows most Christian artists. I met a young Houston school teacher through Dr. Wade, “Houston . . . meet Yolanda Adams . . . she’s major.” I was part of a panel of Pastors and Musicians at GMWA and he said, “Houston . . . meet Donnie McClurkin.” I’ve met more preachers and pastors and bishops and denominational leaders and musical artists. He’s one of the influences on me musically because he kept me on my toes and he influenced me to grab the old songs and introduce them to this generation. True story: I went to the convention in 1990 after the NBCA/NMBCA split and Dr. Wade was on program. He took that old children’s song, “Everybody aught to know who Jesus is,” slowed it down, almost to a meter, and (forgive the linguistics) killed everything big enough to die in the room. I came back to Portland and was in revival and opened with his arrangement of that song and . . . the Lord was kind. Perhaps his modeling of pastoral ministry is worth mentioning. When Dr. O.B. 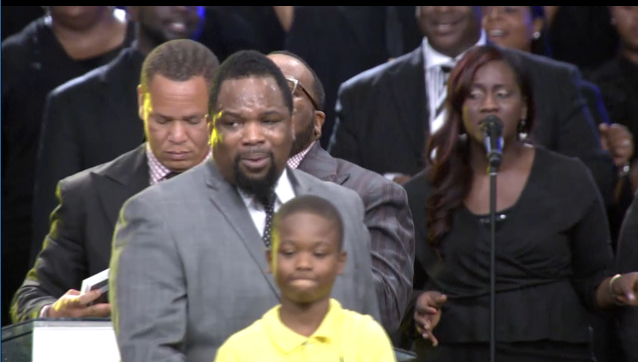 Williams went home to be with the Lord, Dr. Wade was present at the service and Dr. Williams’ widow, Willa (Sister O.B. ), was heavily mourning her husband at the service, uncontrollaby weeping and wailing. Dr. Wade, walked out of the pulpit, held her hand and would not let her go through the entire service. His presence in that spot spoke volumes and Sis. Williams was comforted.